A charming one bedroom apartment occupying a prime position on the top floor of this Grade II listed 18th Century townhouse in this central location. The property is both spacious and versatile with an abundance of storage, some character features and needing some updating to realize its full potential. Once inside the property you are greeted by a spacious communal entrance hallway with stairs leading up to the top floor flat. The property is entered into its own private "L" shaped hallway. At the front of the building is a lovely, light living room with two sash windows, providing vistas of Bath Abbey . 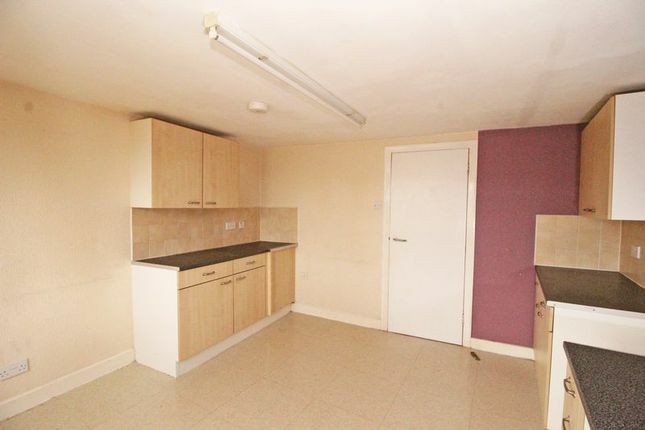 Additionally the good sized double bedroom with walk-in wardrobe and views over Abbey Green. Off the hallway to the rear is a large kitchen/diner with a range a base and wall units. There is also a generous size bathroom with white suite comprising bath, sink and toilet. Abbey Street is a traffic free location between York Street and Abbey Green, with its magnificent plane tree. Being so central, the flat is easily accessible on foot to Southgate shopping development, the Abbey, Parade Gardens, Sports Centre, Thermae Bath Spa and “The Rec” (home of Bath Rugby). Bath Spa mainline railway station with its services to London is also within easy reach. 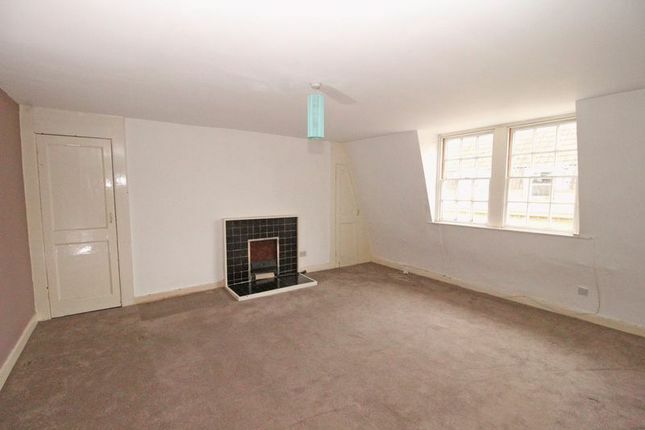 Two sash windows with views of Bath Abbey, fireplace, two built-in cupboards, TV & telephone points. 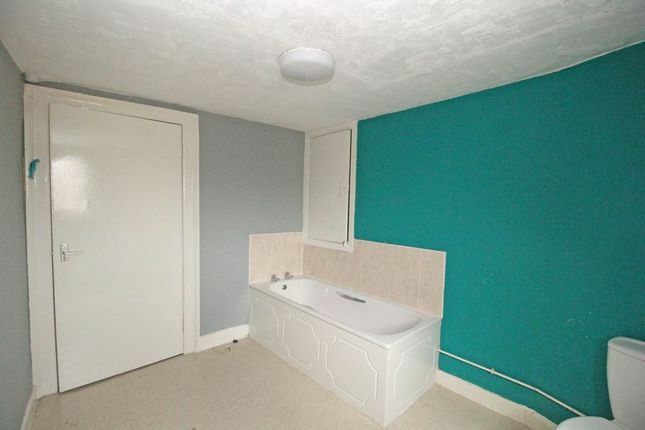 Large room with sash window, paneled bath and tiled surround, pedestal wash hand basin with tiled splash back, low level WC, built-in cupboard with hot water cylinder. Please donwload brochure for further details. A charming one bedroom apartment occupying a prime position on the top floor of this Grade II listed 18th Century townhouse in this central location. The property is both spacious and versatile with an abundance of storage, some character features and needing some updating to realize its full potential. Once inside the property you are greeted by a spacious communal entrance hallway with stairs leading up to the top floor flat. 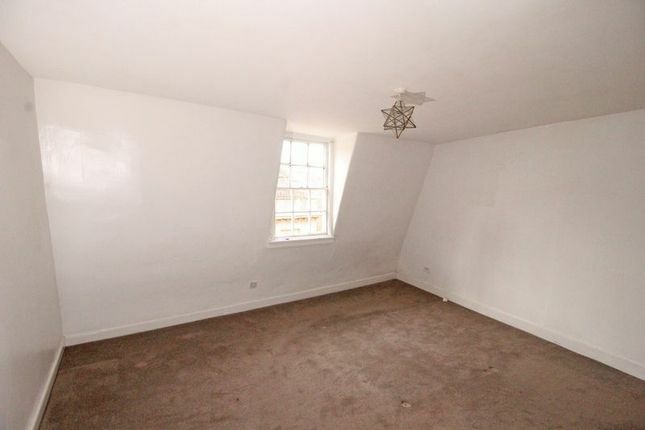 The property is entered into its own private "L" shaped hallway. 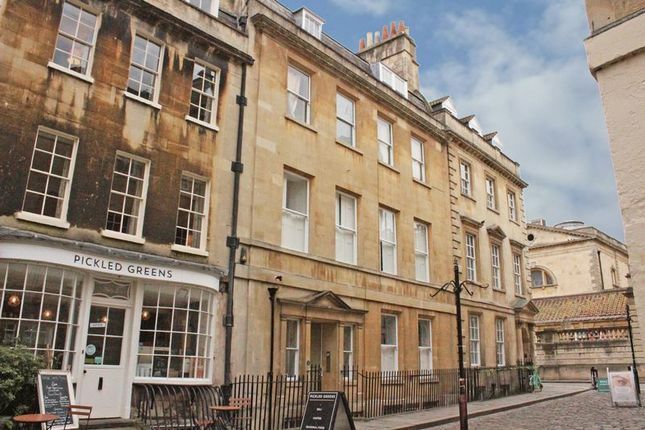 At the front of the building is a lovely, light living room with two sash windows, providing vistas of Bath Abbey . 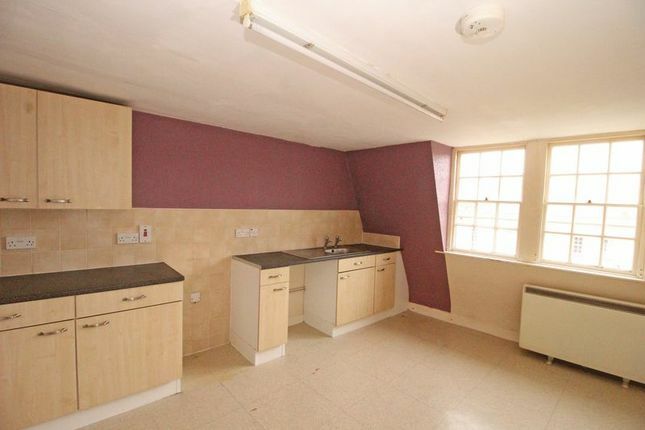 Additionally the good sized double bedroom with walk-in wardrobe and views over Abbey Green. Off the hallway to the rear is a large kitchen/diner with a range a base and wall units. 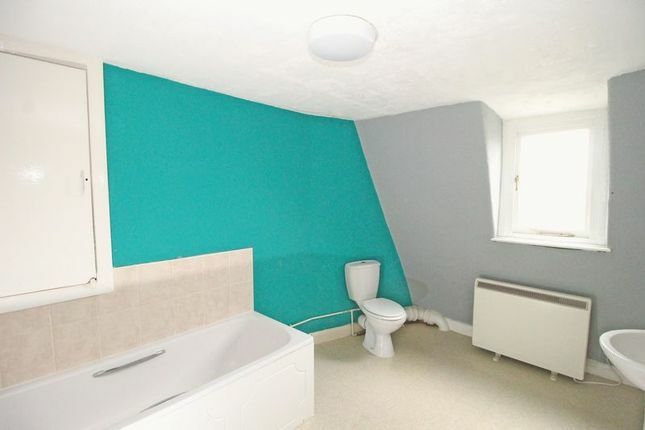 There is also a generous size bathroom with white suite comprising bath, sink and toilet.